Crafting a perfect certified forklift operator resume is winning half the battle when you are trying to land a forklift operator job at your dream company. And we are here to help you in your quest to secure that job you are meant to have. Since you are looking for ways to improve your resume to increase your chances of landing your dream job, I am sure you already have completed your forklift training and obtained your forklift certification in your state. If you haven’t done that, then I would strongly recommend you to go get your forklift license first. Otherwise, you won’t be able to operate a forklift anytime soon. If you have got your certification already and you have your eyes set on a particular warehouse job, then all you need is a perfectly crafted forklift resume to snag that position before someone else does. It won’t come easy though, as forklift operator jobs are well sought after by many operators looking for a new job, and therefore is a very competitive field. So having an impressive CV (Curriculum Vitae) is critical to stand out to the employer you wish to work for. This is your chance to highlight the most relevant skills and work experience that you have obtained up until now. Studies have shown that employers tend to spend very little time looking at your resume, so it will need to be short and to the point. You could take your old resume and simplify it, or start from scratch and create a fresh new one. I suggest the latter because it is easier to pick important highlights from your old resume and put it in your new one, without the clutter confusing you. We will go through all of the steps to making a successful resume that will be sure to stand out from all the others. First, we will start off by explaining the point of a resume and what message you are trying to get to the hiring manager. What Does it Take to Make a Great Forklift Operator Resume? When creating your CV, you will need to keep in mind the forklift operator’s job description in which you are applying for. Then you will need to think of the jobs that you have worked that match that description. It is okay to only list the relevant fork lifting jobs but be sure to bring a list of the other jobs so that you can explain any gaps in dates. Always remember to keep it simple and if at all possible keep it on one page, if absolutely necessary you can put it on two pages. Also keep the font simple such as Times New Roman, 14 sized and double spaced to keep your resume nice and clean. Microsoft Office Word is hands down the best program to use when making your resume because it offers all sorts of tools and makes it easy for you to create a beautiful resume. You can also do a simple search of forklift operator resume templates and copy and paste into a new Word document or use this how-to guide for searching Words templates. These days most employers do all their hiring online, so it is important to make sure it is completely finished and edited before submitting the file. This is their first look at who you are as an employee and your ticket to getting an interview. So it is very important that before sending, you make sure it is simple, clean and error free! If accepted for an interview, bring a copy of your resume and print your curriculum vitae on special resume paper to help the manager remember you. Although a bit more expensive than normal paper, it is thicker, so it stands out as the manager sifts through the piles of resumes for forklift operator. The only things that need to be bold are your contact information and the names and dates of the relevant forklift operator jobs you have worked at. A brief description of the duties you were responsible for can be bulleted underneath the job name. Attach your forklift certification to the back of your CV to show that you are qualified. There are several different parts that your resume should have including your heading, objective, work experience, education and skills, and achievements. Next, we will go through each of those step by step so that you can start crafting your expert forklift resume. The heading of your CV (Curriculum Vitae) contains all of the information that an employer would need to contact you for an interview. This part of the resume is fairly straightforward and should be simple as well. The heading will be its own section by centering and putting some kind of border under it to section it off from the rest of the CV. Start off by centering your name on the first line and then on the second line include your email and phone number. On the third line, you will add a line to section it off from the rest of the resume. You can make the heading your own as long as it contains your basic contact information so the employer can easily get a hold of you for an interview. Once you are sure to have a defined heading we can move on to the next section of your forklift operator resume. The objective portion of your CV should state what kind of job you are looking for and the basic skills you have for that job. This section comes directly after your heading, just enter to the next line and make sure to align your text to the left. Do not go into detail of your skills because we will do this later on in the resume. This is the part of your forklift resume that lets the employer know that you are willing and ready for the job at hand. This part of the resume will be the longest portion as it will contain past companies you have worked for, dates of employment and duties that you were responsible for. Generally, you will want to sort your work experience based chronologically, meaning from most present first then so on and so forth. There is no rule set in stone on how many employers you should list on a resume. 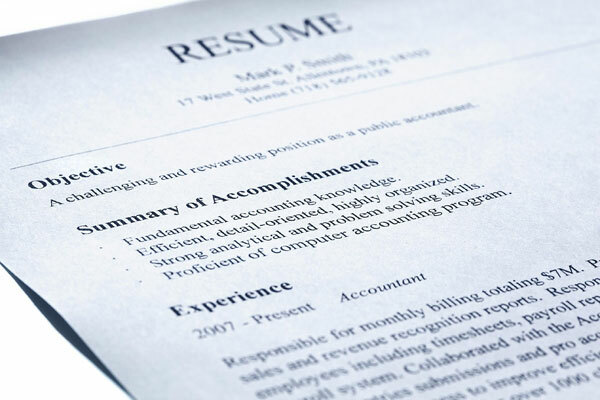 As a general rule of thumb, you should stick with around 3 or 4 so that you can keep your resume on one page. What is a set rule for this section is that you need to list only the jobs that you have worked that are relevant to the job you are applying at now. So assuming that you are applying for a forklift job, you will want to include all the fork lifting jobs you have worked in a warehouse environment. Obviously first choose forklift operator jobs from your portfolio that you have physically driven a forklift. 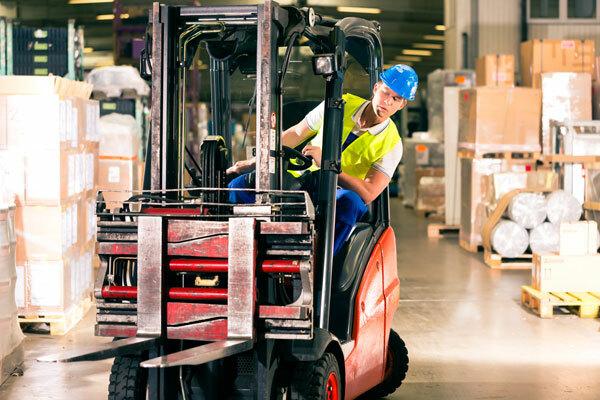 Even if you are applying for your first forklift job and have never driven a forklift, you can include any back of warehouse jobs that you have worked. If you have zero forklift or warehouse experience you can always rely on good work ethic and references to get the job. If you have the will and the certification you can and will be considered, so put your best jobs in your work experience. Once you have chosen the jobs that you feel are most relevant, then you will need to order them from the most present first. Don’t worry about gaps in the dates; just be prepared to explain to the hiring manager about them during the interview. The names and dates of employers that you have worked for should be bulleted, italicized and bold to stand out. Underneath each employer and date should be the duties that you were responsible for. Education is very important to a future employer in the forklift industry because you must, by law (under OSHA), be 18 years old to operate a forklift. The first indicator that you are above age and able to operate a forklift, is that you have completed high school. So in your forklift resume, list the high school you attended first on the list and the dates you started and finished. Just like the work experience section, list any academics that you excelled in underneath the school name and dates attended. Most employers require a high school diploma or a GED equivalent, so add either of these to the end of your description. Also, this is the time to list any colleges or forklift training academies you have attended as well. This is the section that you can really brag a little a list all of your awards and achievements. This section should be brief and to the point as with most of the other sections. The main purpose of your skills and achievements section is to show your future employer that you go above and beyond the rest. Examples of awards you can list are awards that you received in school such as best listener or most organized. These kinds of awards show that you have a good work ethic and give the employer an idea of your moral character. Of course list any awards and certifications that are work related, especially having to do with forklifts. You should also be sure to put when and where you completed your forklift certification. This section will look a lot like your work experience section and will list the award first and where you received it in bold. Underneath the heading, you should put a brief description, not more than two sentences. And finally, the last section in your resume will be about professional references. Limit this section to one quick statement at the very bottom. “References available on request”. That is good enough. Center the line “References available on request” on the bottom of your resume. This will let the employer know you have professional people available to vouch for you and your work ethic. Be sure to bring a list with you to the interview to give to the employer! Looking for forklift resume samples? Download a sample forklift operator resume from here. When you are writing your CV, you should avoid making mistakes on it. 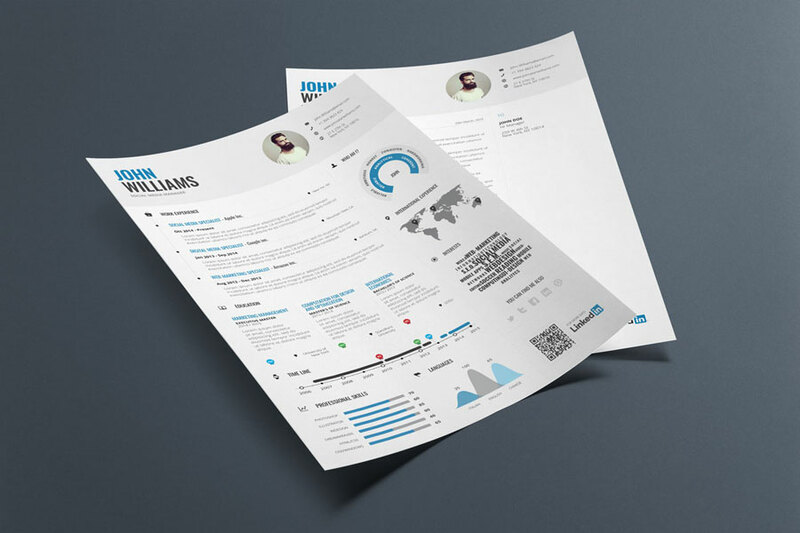 Your resume is your first opportunity to make a great impression on potential employers. In fact, the quickest way to get screened out as a job applicant is to submit a flawed CV. Here are some of the most common resume mistakes that you should avoid. Including a mismatched ​summary of qualifications that doesn’t match the job requirements. Don’t use made up information and don’t lie. Including too much information. Be precise. Don’t use fancy fonts. Use a standard font like Arial. Once you have completed all of your sections, make sure you give it a good look over or get someone else to proofread it. I can’t emphasize enough how important it is to have your resume without any typos and grammatical errors. So you will need to be sure all grammar is correct, and there are no spelling mistakes or typos. Next, you need to check and make sure all headings and text are uniform and the same font and size. Keep it simple and make sure all information is correct and not over exaggerated. If you follow this guide, you are sure to have a forklift operator resume that is sure to stand out from the rest! Applying for forklift certification in New Jersey, check our NJ guide!